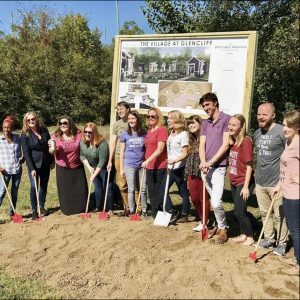 Open Table staff and interns break ground for The Village of Glencliff in Nashville. When completed, The Village will provide micro homes for up to 24 adults experiencing homelessness. Money from a Golden Cross Foundation grant is being used to build two units that will be earmarked for older adults.